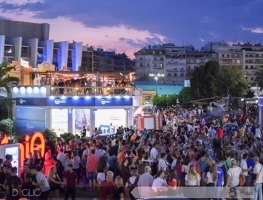 Thessaloniki International Fair (TIF), the most important exhibition event in Greece, and one of the most important events in Southeastern Europe, was held for the 83rd time from 8 to 16 September 2018. 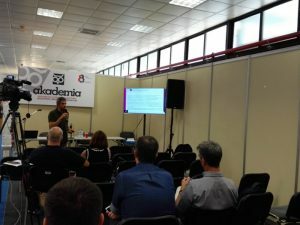 During this week, the heart of entrepreneurship, innovation, and US tech excellence was beating in Thessaloniki. With a total of 20 official, direct state participations and USA as the honored country, TIF succeeded in attracting more than 280.000 visitors, making it the largest TIF in the last 20 years! 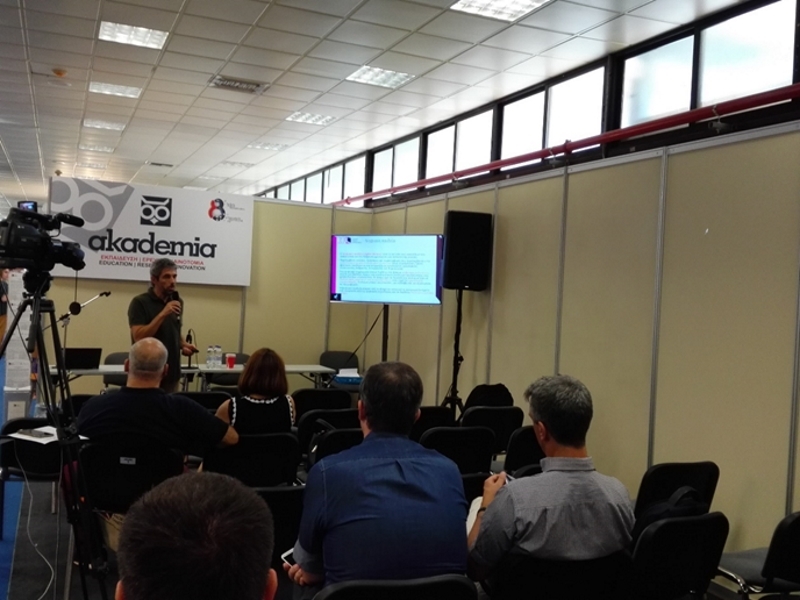 Hellenic Open University (HOU) participated again this year at the 83rd TIF with its own booth at position 23, at the AKADEMIA Pavilion 14. During the exhibition, HOU booth served as a meeting and networking hub of the members of the academic community and its graduates, as well as a point of information for the public about HOU courses and research projects. 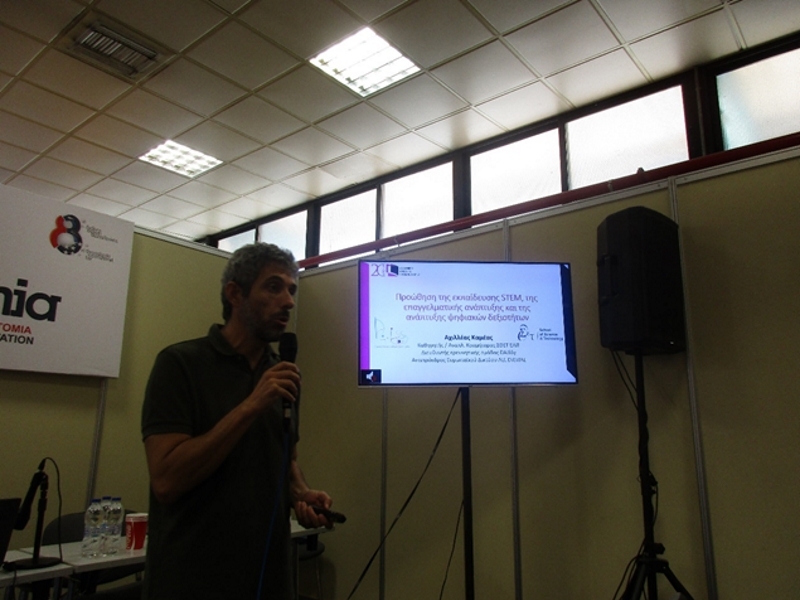 The DAISSy research group of HOU organized a seminar on the development of digital skills. During the seminar, which was attended by more than 30 people, Prof. Achilles Kameas analyzed the risks faced by a society whose members have low digital skills, placing special emphasis on low employability and job satisfaction and increased degree of exclusion from community and social life. Prof. Kameas presented a set of complementary activities and projects that are being implemented by DAISSy, which aim to promote the development of digital skills for professionals and the average citizen. 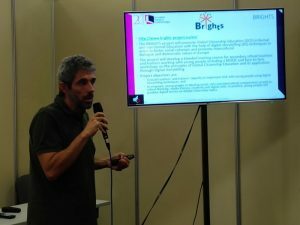 Project BRIGHTS was presented as a good practice in promoting Global Citizenship Education and fighting exclusion through the development of Digital Stories. 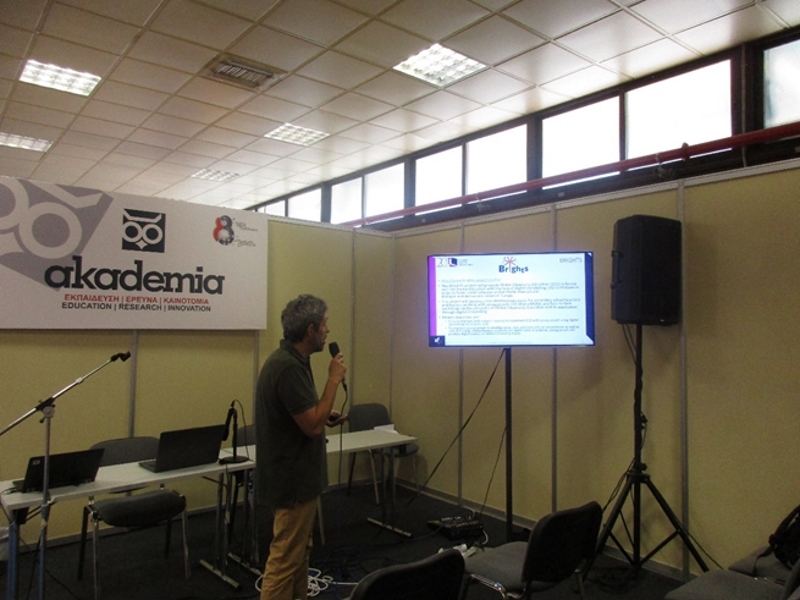 Prof. Kameas explained that the project produced a MOOC to train teachers and trainers on how to work with young people and assist them in creating digital stories about global issues, such environment, sustainability, xenophobia etc. Overall, the DAISSy research group can be considered as an important actor contributing to the digital transformation of Greek society.